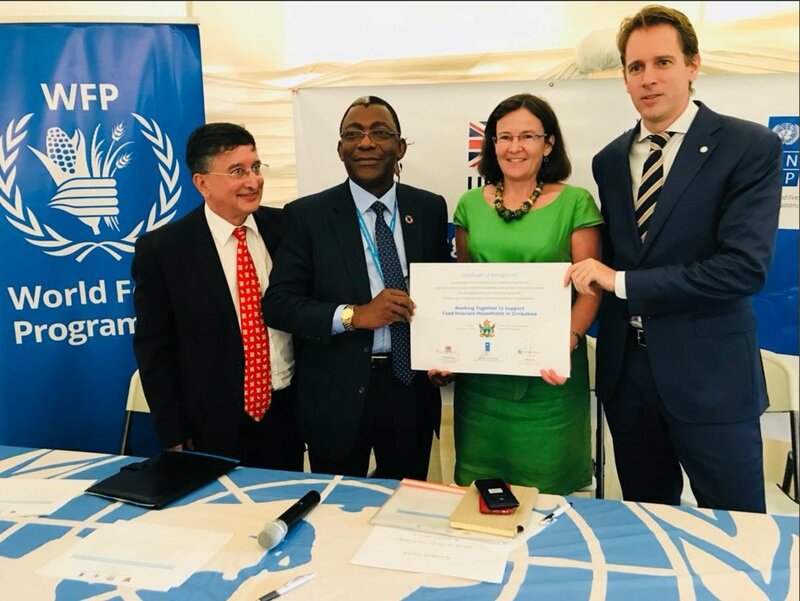 The United Nations World Food Programme (WFP) welcomed a £3.95 million (USD5 million) contribution from the United Kingdom’s Department for International Development (DFID) to its 2018/19 Lean Season Assistance programme in Zimbabwe. 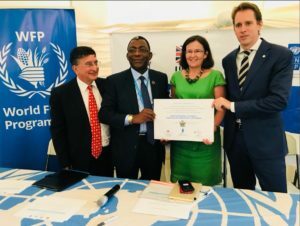 The contribution will help WFP to provide cash-based food assistance to some 97,000 highly food insecure people in rural areas, and to another 19,000 in a Harare suburb. “We are grateful for this timely commitment, which will allow us to provide immediate, much-needed assistance to some of the most vulnerable people in Zimbabwe,” said Eddie Rowe, WFP’s Country Representative. More than 2.4 million rural Zimbabweans will face acute food insecurity at the peak of the current lean season (January – March 2019), according to the 2018 Zimbabwe Vulnerability Assessment Committee (ZimVAC) report produced by the Government of Zimbabwe. That number is likely to increase with the anticipated late start to the rainy season and the imminent prospect of another El Niño, that is expected to bring higher than normal temperatures and a more prolonged dry spell. The five rural districts to benefit from the UK assistance – Mutoko, Nyanga, Nkayi, Beitbridge and Umzingwane – are among the country’s most food insecure, and have yet to recover from the devastating effects of a 2015/16 El Niño-induced drought that left more than 4 million Zimbabweans desperately hungry. Most food-insecure families in such areas are heavily dependent on rain-fed agriculture. The DFID-funded transfers will support 19,000 especially vulnerable people in Epworth, a Harare suburb characterised by high levels of food insecurity and unemployment – challenges compounded by the current economic downturn. This pilot initiative is expected to inform future responses to chronic and acute vulnerability in urban settings. WFP is scaling up to provide food assistance to more than 1.1 million people a month in 34 priority districts across Zimbabwe—an effort that will require an additional US$40 million in funding through April 2019.